On 04/07/15 at about 7:00 AM the Sheriff’s Office took a report from Safeway off Missouri Flat Road where a Hispanic Male Adult attempted to make a purchase using a fake $100 bill. The suspect left the store and got into a silver SUV being driven by a female. The male was described as being in his late 20’s wearing a dark blue sweater and black pants. On 04/28/15 at about 12:25 PM deputies were dispatched to the Sizzler Restaurant in Cameron Park regarding a counterfeit $100 bill. The suspect was described as a Hispanic Male Adult, in his late 20’s, 6’ tall, with a heavy build last seen walking towards Safeway. He appeared to the same suspect that used a phony $100 bill the week prior at the same restaurant. On 05/08/15 at about 3:37 PM, the Sheriff’s Office responded to the Round Table Pizza on Missouri Flat Road regarding counterfeit money. The suspect was described as a Hispanic Male Adult accompanied by a Hispanic Female Adult driving a green BMW. The male reportedly tried to use a fake $100 to buy food. While the restaurant called EDSO, the suspect left. Deputy Jeff Tucker assisted by Deputy Tim Peterson located and stopped a vehicle matching the description near Green Valley Road and Mallard Lane in Placerville. Arrested was 30 year-old Marcus Rodriguez of West Sacramento. The female, 23 year-old Shayla Godsey of the Shingle Springs Rancheria, was cited for driving with a suspended driver’s license. Rodrigues is also a suspect in similar activities in Washoe County, Nevada. 05/09/15 at about 5:15 PM, someone used a counterfeit $100 bill to purchase clothing at Snowline Hospice in Cameron Park. The suspects were a male and female who were shopping together. The male was described as a Hispanic Male Adult, 25 years old, 6’01”, weighing about 200 pounds. The female was described as a Hispanic Adult, 25 years old, about 5’04” tall, weighing about 125 pounds. No vehicle seen. On 05/12/15 at about 2:40 PM, a Hispanic Male Adult attempted to pass a $20 bill at the 76 gas station on South Shingle Road. The suspect was driving an older blue Nissan Pickup Truck with a lumber rack. The male was described as being in his mid-20s, 5’ 5” tall, about 130 pounds, wearing a black hat, a black t-shirt, and jeans. On 05/15/15 a counterfeit $100 bill was located by Revenue and Recovery in Shingle Springs. 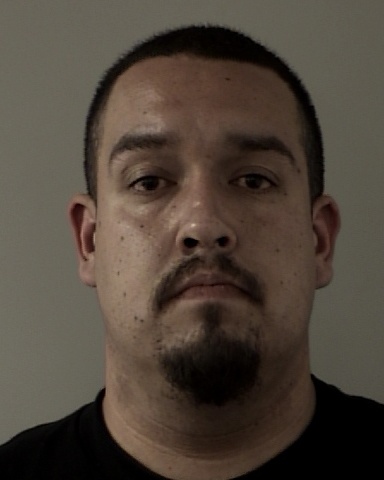 The business received the fake bill through a customer transaction who reportedly got it from Walmart in Folsom when cashing a Social Security check. There is no suspect information. On 05/17/15 at about 4:15 PM, Safeway in Pollock Pines reported receiving a counterfeit $20 bill. The bill was located in one of their cash registers. There was no suspect information. These cases may or may not be related however an increase in the use of counterfeit money has noticeably increased in El Dorado County. Businesses are encouraged to check all cash received to ensure it is genuine before completing a transaction. If any suspicious currency is received, please keep the bill and call 911. If the person leaves, make note of the person(s) description, what they are driving, license plate number, and direction of travel. If anyone has information on any previous case, please contact the Sheriff’s Office at (530) 621-5655 or email us at EDSO.org.